President Emmerson Mnangagwa was given Ndebele King Mzilikazi's knobkerrie so that there could be peace in the Khumalo family, a source from the Khumalo family has said. "President Mnangagwa was called in our rural home in the early 1980s to be given the knobkerrie that belonged to the late King Mzilikazi," the source said. "The reason why he was invited is because the ancestors had instructed the family that for peace to prevail within the family Mnangagwa must be given the rod." When asked how Mnangagwa was chosen, the source said the President is aclose famile member and a grandchild of the Khumalo family. "The person who was key in inviting Mnangagwa was the late liberation struggle stalwart Thenjiwe Lesabe's mother. 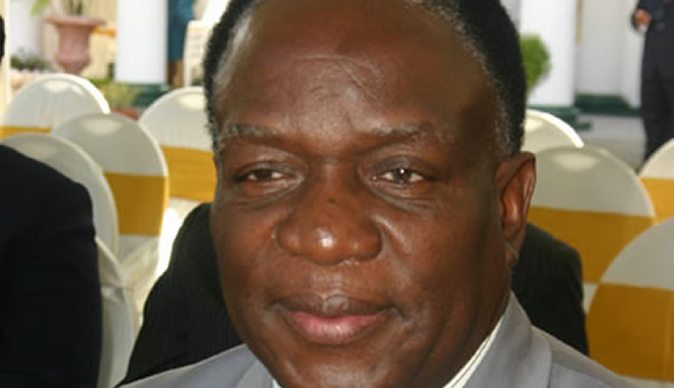 Lesabe and Mnangagwa were actually relatives if you may know. Thenjiwe was initially suspicious of Mnangagwa because she was ZAPU and that was the height of Gukurahundi if you remember." Recently, National Patriotic Front Spokesperson Jealousy Mawarire said, "There is one thing that has not been told, and I intend on telling it someday. Trevor Ncube hates Nelson Chamisa because of his tribe and is hooked to Emmerson Mnangagwa because he knows, although Mnangagwa lies that he is Karanga, he is not. I will give detail one day." "Mnangagwa denies he is Zambian despite his family moving to Zambia but claims he is Karanga after his Sibanda family moved, together with the Moyo family, from Swaziland to live among Karangas and took nicknames like Mnangagwa and Mbengegwi. Ask Mnangagwa who Thenjiwe Lesabe was to him."